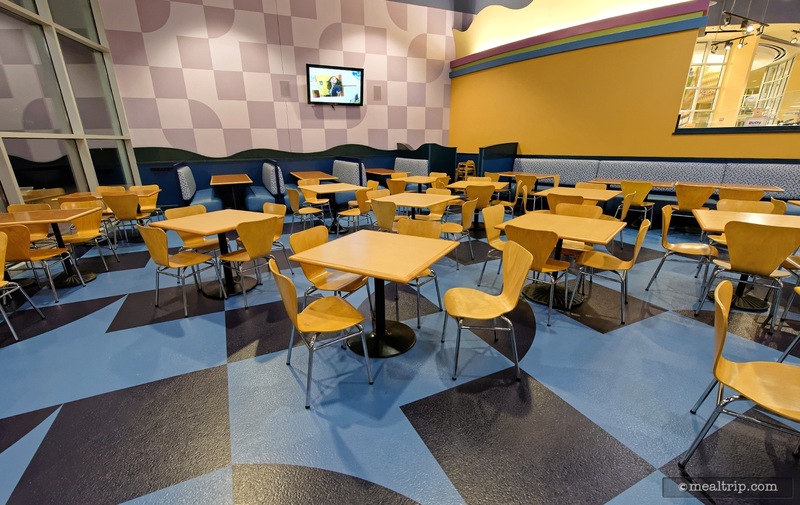 The Everything POP Food Court - Lunch and Dinner listing is a Counter Service (quick service) dining location at Disney's Pop Century Resort featuring American cuisine. There are 7 photos in the Mealtrip photo gallery for this location and dining period. 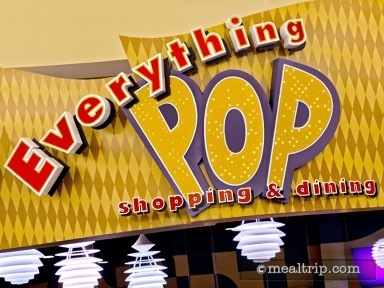 The Everything POP Food Court - Lunch and Dinner listing currently has a score of 89 out of 100. Click here to read all of the reviews for this location, or log in to Mealtrip.com to add your own review for Everything POP Food Court - Lunch and Dinner. 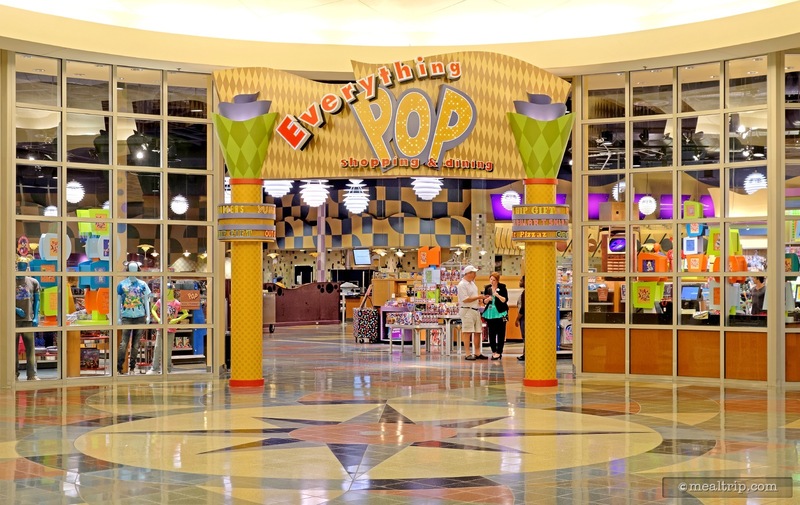 You will have to go through the Everything Pop gift shop to get to the Everything Pop Food Court. 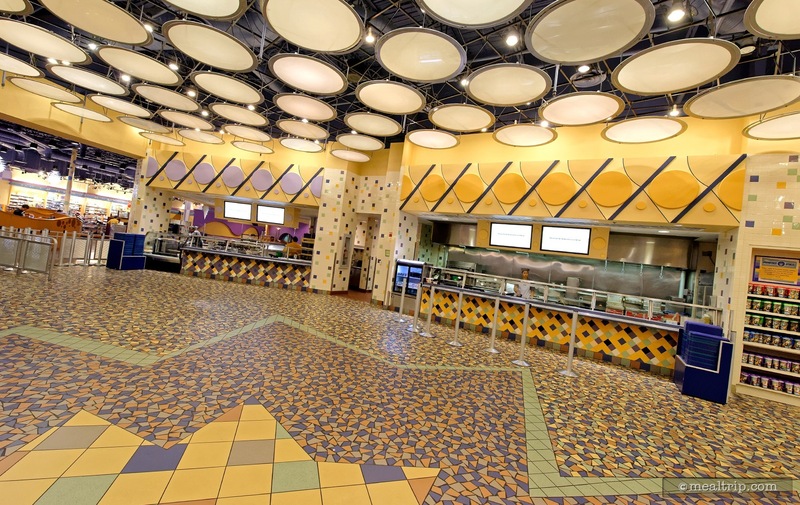 The restaurant is not obviously visible from the lobby area, but once you get past the sign, you'll see the food court. Mmmmmm... the Pecan Tart à la mode. 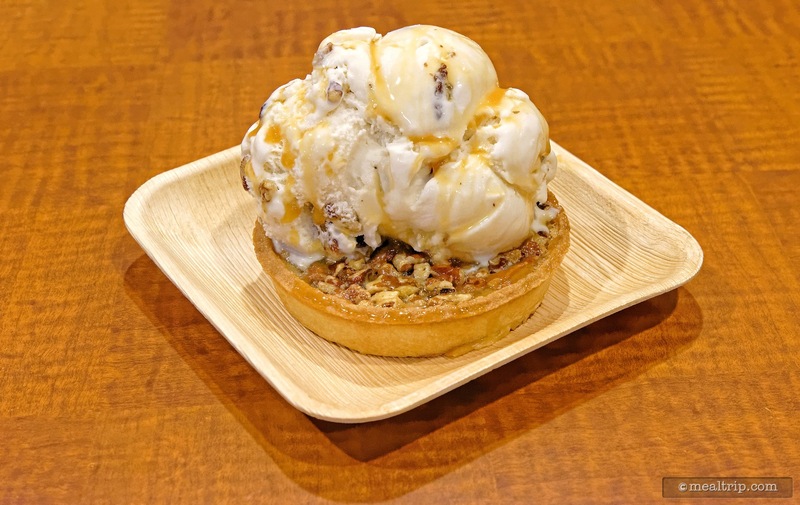 At first, the pecan pastry doesn't look like much in the display case, but after you order, they'll heat the pecan tart up in a giant, open flame stone oven, top it with your choice of ice cream (butter pecan is shown here) and drizzled with caramel. There are many dining areas at Everything Pop, this is one of the "blue" rooms. The "purple room" is by the bakery area at Everything Pop. 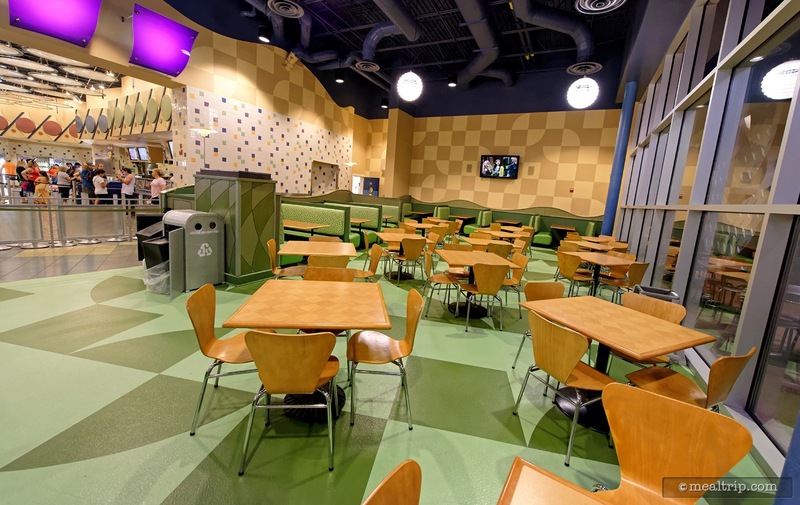 The "green room" at Everything Pop, which is the Pop Century Resort's only restaurant. A couple of the food court style ordering and food preparation windows at Everything Pop. 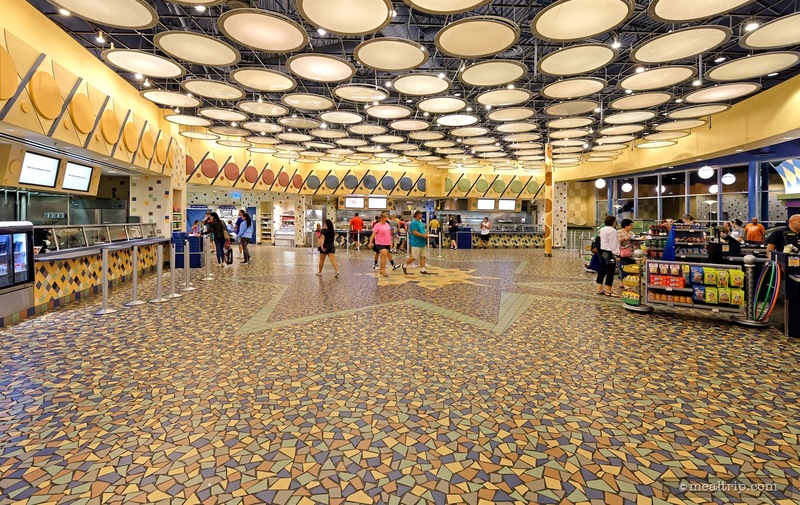 In this photo, the registers at Everything Pop are shown on the right hand side, while the food ordering and pick-up area is on the left. 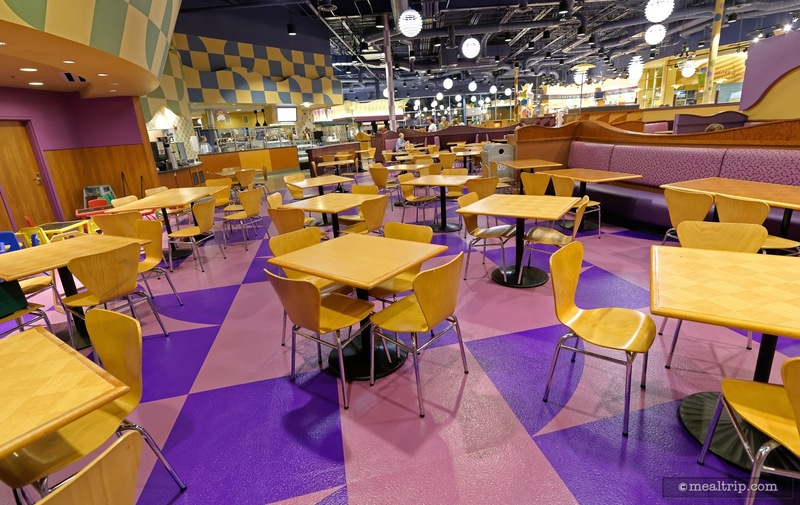 We think the design theming in this giant open area is very cool.